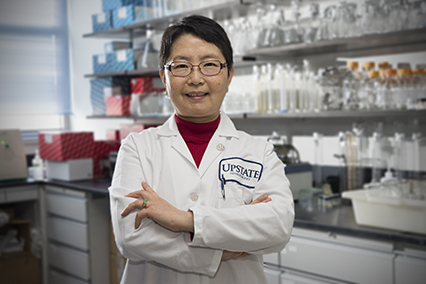 To highlight research advancements cureCADASIL Association hosted a series of webinars called CADASIL Connection. These informative, pre-recorded webinars are unique opportunities to educate and connect the audience of researchers, clinicians, and patients on current research and developments in CADASIL. Each link below will ask for your name and email address, then you will have access to the recording. Saskia A.J. 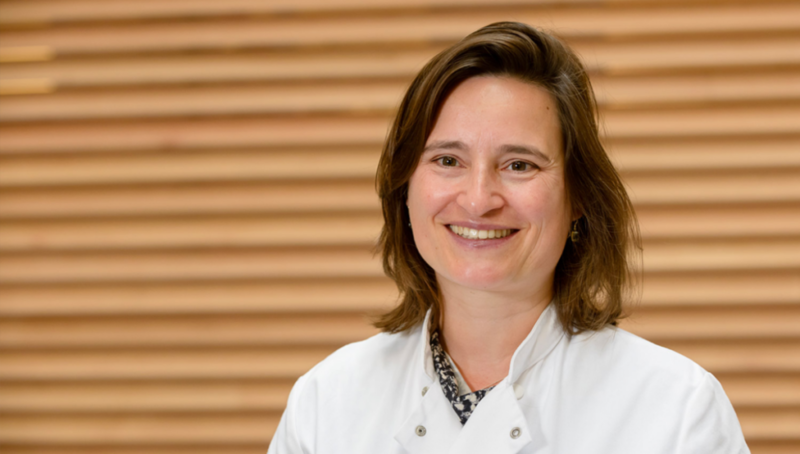 Lesnik Oberstein, M.D., Ph.D.
Dr. Lesnik Oberstein, a Clinical Neurogeneticist at the Department of Clinical Genetics of the Leiden University Medical Center (LUMC), The Netherlands, presents new insights into NOTCH3 mutations as well as the current status of her lab’s published exon-skipping gene therapy as a potential therapeutic strategy for CADASIL. 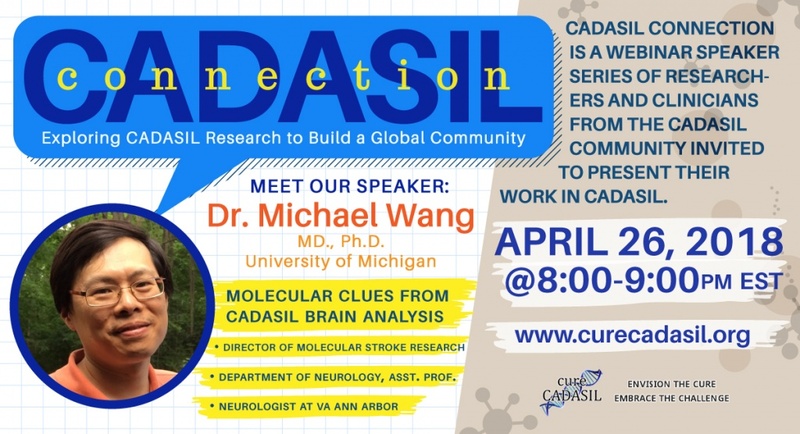 Dr. Michael Wang, M.D., Ph.D.
Dr. Wang is Chief of Neurology at the VA Ann Arbor Healthcare System and Professor of Neurology at the University of Michigan where his lab studies the mechanisms of vascular degeneration and defining pathological proteins that build up in CADASIL and here he will share this exciting work in advancing our understanding of CADASIL. Dr. Joseph Arboleda Velasquez discusses the design and analysis of CADASIL mouse models, recent research findings and establishing feasibility for a novel modality of treatment for cerebral small vessel disease. 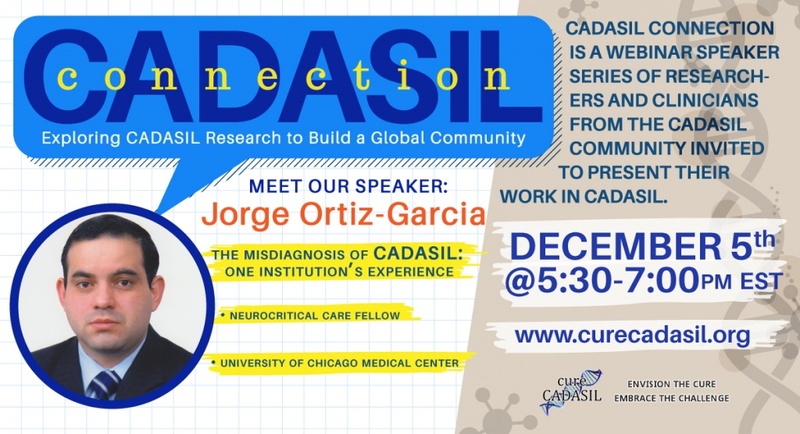 Dr. Jorge Ortiz Garcia, a neurocritical care fellow, provides insight to CADASIL diagnosis and describes one institutions experience with misdiagnosis of this rare disease. 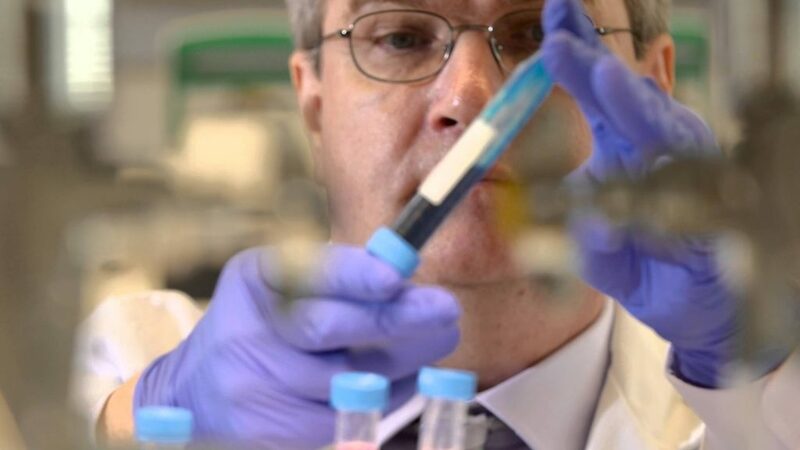 Dr. Manfred Boehm, Senior Investigator Laboratory of Cardiovascular Regenerative Medicine at the National Heart, Lung, and Blood Institute (NHLBI) and Principal Investigator for the CADASIL Disease Discovery Clinical Trial shares an inside view of the CADASIL Disease Discovery Study being conducted at the National Institute of Health. **The sound quality is low for the first several minutes, then the quality is improved for the remainder of the presentation. Connect with cureCADASIL to receive our emails with updates and informative newsletters! 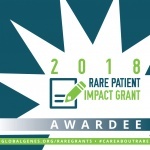 This cureCADASIL webinar series is supported by a grant from Global Genes, generous community donations and time of valued volunteers.